How Many Tenses in English? 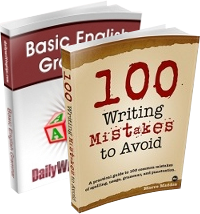 Most modern grammar writers argue that there are only two tenses in English, past and present. We talk about the future using various modal verbs, including WILL, because we are usually talking about our perception of the future. The example you give…seems pretty nonsensical to me. In the terminology of linguistics, English is a language with only two tenses: past and present. Linguistics is a useful science. Because it is a science, it needs numerous precise terms that enable its students to make fine distinctions about the function of words in different languages. The focus of linguistics is not English, but all the languages of the world. Students of this demanding science need to distinguish between tense and aspect; between adjectives that describe people and adjectives that describe inanimate objects. Words like determiner, intensifier, modal, and word class are suited to making finer distinctions than adjective, adverb, helping verb, and part of speech. But I find that the older terms serve me adequately in explaining basic usage to students for whom a little grammar goes a long way. How many tenses in English? The answer all depends upon whom you ask and what meaning you attach to the grammatical term tense. 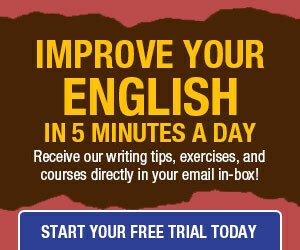 Most ESL sites set the number of English tenses at twelve. One site I found adds a thirteenth tense to accommodate the way we express the future with going and an infinitive: I’m going to paint the garage in the morning. In the realm of linguistics, English has only two tenses: present and past because according to linguistics terminology, a tense is indicated by a distinctive verb form. “I sing” is in the present tense because the idea of present time is expressed in the single form sing. “I sang” is past tense because the idea of past time is expressed in the single form sang. What I and a great many other English teachers still call “future tense” is not a tense according to linguistics terminology because it requires a helping verb (modal). “I will sing” is not a separate tense, but an aspect of the present tense. Present Perfect: He has sung. Present Continuous: He is singing. Present Perfect Continuous: He has been singing. Past Perfect: He had sung. Past Continuous: He was singing. Past Perfect Continuous: He had been singing. Simple Future: He will sing. Future Continuous: He will be singing. Future Perfect: He will have sung. Future Perfect Continuous: He will have been singing. Note: The continuous tenses are also known as progressive tenses. I wonder, do you (or any of your readers) know whether there are any languages that do have a genuine future tense (in the strict linguistic terms you describe)? Thank you for this article, I think. It starts to elaborate upon a topic I’ve been curious about for some time. The hesitation is because, as oftentimes happens when delving into a topic, the first explanation creates even more questions. One could argue that three of those have the same root, therefore the other forms of sing are just conjugations. Doing so still gives us three tenses, & poses yet another question of where does the word “conjugation” fit with tense, modal, & aspect? Further, especially from a pictorial point of view, the other two forms of sing are clearly different. From a programmers point of view in English, let alone if we examine graphical languages such as Chinese, we get into inconsistent, more than just irregular, changes as well. I can’t help noticing that, in your examples, present perfect and past perfect could very easily be confused. Aside from that, the term ‘perfect’ itself confuses me, and likely quite a few other people. Is there some sort of easy way for us to get a handle on its grammatical sense? A mnemonic, perhaps? Thank you for making more sense of what already seemed pretty sensible. Moreover, thank you for opening up a tea-can of wrist slapping for the questioner in your clear exposition of the principles at work. The instructor teaches verb tenses to the students. Passive Verb Tense — The students are taught verb tenses by the instructor. Great article! You summarized everything very well. I don’t understand why so many people have trouble understanding your points. With that said, I never tell my ESL students that English has only two, or three, verb tenses. They seem very comfortable with the twelve tense concept. Thanks for all of your wonderful contributions! None of the Germanic languages (English, German, Dutch, Swedish etc.) have a true future tense. The Romance languages do though. In French (for example), the future tense of “je suis” (I am) is “je serai” (I will be). The future tense of Italian “essi parlano” (they speak) is “essi parleranno” (they will speak). most Slavic languages have a true future tense, usually in the perfective aspect. Turkish has it, so I guess other Turkic languages have it too. You’ve missed another factor of “tense” here: it’s a distinct verb form that indicates either past, present or future time. English verbs only have distinct forms for the past and present. Of your five forms above, two are present tense (sing,* sings) and two are past tense (sang, sung). Although we call it a “present participle”, “singing” is without tense at all; it merely conveys the idea on an ongoing action whether in the past, present or future. Lastly, it’s worth remembering that our system of grammatical tense was designed for Latin originally, not English. Latin has a distinct set of verb forms to handle not only tense but also aspect, voice and mood. Latin has a true future tense and no modal verbs at all. Not surprising then that superimposing grammatical principles designed to describe Latin verbs on English ones is going to create some ambiguity. * Though it’s even debatable whether “sing” indicates present tense. It is also the infinitive/base form of the verb. JJM and Pablo, thank you. I teach English and I am a linguist, so I keep switching between the two perspectives as needed. There is a fundamental error in the article and the question. When linguists talk about two tenses in English, they distinguish between past and non-past, not past and present. The line is drawn where present begins. This distinction comes in handy when you have to explain the difference between say: “I completed the work before they arrived” vs. “I will complete the work before they arrive.” Why can’t we say: I will complete the work before they will arrive?” Why is arrive in the “present” even though it is understood to happen in the future? The use of ‘will’ to indicate future time may lie in its origins. I personally take the view that English has only two tenses, based on the existence of specific verb forms proper to those tenses. Putting on my ESL teaching hat however, and so as not to create undue confusion, I stick with the three-tense model.